The primary objective of this course is to introduce students to representative works in world literature, and to help students develop an appreciation of literature by understanding themes, purposes, techniques, history. Prerequisite: ENG101. ENG111 is traditionally a course in which students are given an introduction to a variety of literary authors and genres in order to help students cultivate the reading and appreciation of world literature for its own sake. We are going to concentrate in this section of the course on the inter-related genres of drama and film, and furthermore, on plays and films that take the spectacle of violence (and also revenge) as their primary subject matter, calling into question the nature of the relationship (artistic, moral, social, and otherwise) between violence itself and the ways in which it is seen, or beheld, by an audience. 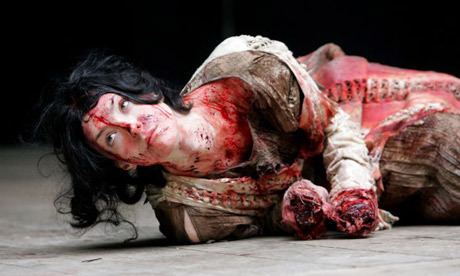 We will be interested in exploring as well, via the quotations above from Polanski and Haneke (film directors known for their violent and disturbing movies), whether or not the representation of violence in art, in the classical drama or Shakespearean tragedy or the contemporary film, can also be a moral provocation to the audience. Although this is an online course, lecturing (i.e., written lectures) will not be a main component of this course; rather, assigned texts and films will be supplemented by links to important background material, and thinking and discussion prompts, all designed to help you to better understand the primary course material. The real "meat" of the course will be the discussions we have together about these materials on our Discussion Board (on our Blackboard course site), which will be partly structured by your Discussion Question writing (see below). Therefore, being an active participant in these discussions, as well as keeping up with the Discussion Question writing, is vital to your success in this course. Liliana Cavani, dir. Ripley's Game (film). Julie Taymor, dir. 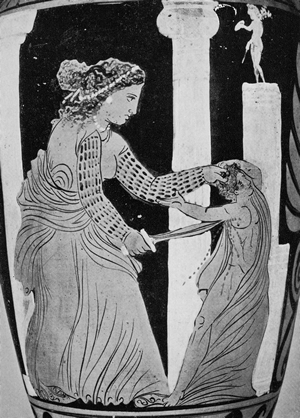 Titus (film). Quentin Tarantino, dir. 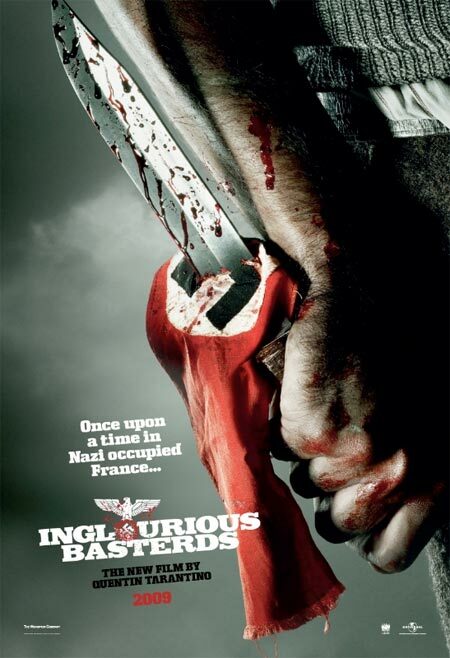 Inglourious Basterds (film). Michael Haneke, dir. 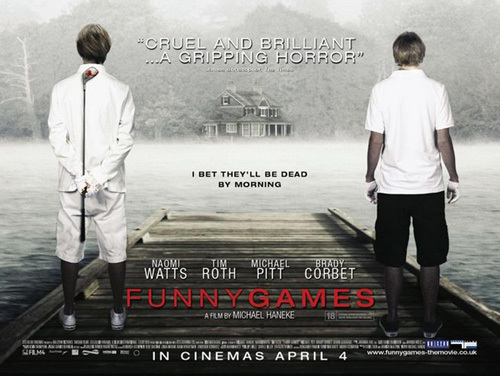 Funny Games (film). Ian Johnston, "Lecture on The Oresteia"
Ian Johnston, "An Introduction to Macbeth"
Most Wednesays (starting in Week 2 and not including the weeks when the Mid-Term and Final Exams are scheduled), you will write short responses (approximately 2 full paragraphs for each question) to two questions (chosen from about four or five questions framed by me each week that will be related to the readings and films under discussion that week). These are due by midnight on each Wednesday, according to the Schedule of Events (see below). These questions will be mainly interpretive in nature and will be graded on the requisite effort (or lack thereof) put forth, and not on whether or not the answers are "right" or "wrong." In this class, there are never any right or wrong answers, only more or less interesting ones. Thoughtful responses to these discussion questions are critical, since they form the main basis of the ongoing discussions we will be having on the Discussion Board (see just below). On our Blackboard course site, there will be a Discussion Board which we will rely upon for our collective discussions. Some of these will be generated by me as I am reading and commenting upon your responses to the Discussion Questions, but this is also the place where you will need to initiate new discussion threads (by, for example, asking questions about parts of a reading or film you may not have fully understood, or by sharing what you thought was interesting and/or provocative about a reading or film, or by asking for clarification on something I may have shared with you in relation to a reading or film, or by raising questions about a reading or film that you think might be fruitful for discussion). In addition, you are responsible for jumping into discussions that I or one of your classmates may have started, and making contributions you feel may help keep the conversation moving along. Since this is an online course, participating in conversations on the Discussion Board, as well as initiating discussions, is vitally important. This course will place an important emphasis on open and free discussions where you should feel encouraged to express your opinions and questions without worrying over whether you are saying the "right" or "wrong" things. This is a literature course, not a chemistry or astronomy course, and the best we can do in this course is learn together how to be more thoughtful readers of literature, and also to see if we can get more out of literary texts and films than we might have initially thought was possible. We want to have fun, while also exploring the very serious and pressing social and cultural questions that great works of art always raise for us. I will help you become sharper and more critical readers, and each student will help each other and me to create a learning community that is student-centered and highly interactive. As a general rule of thumb, I expect each student to initiate at least two discussion threads a week and to actively participate in at least two other threads (initiated by me and/or by other students) per week. As the initiator of a particular thread, you are also that thread's moderator-leader, and you will want to guide the dialogue that occurs there, stimulate participation, and seek clarification when necessary (which means: initiating a thread does not just mean starting a discussion and then never returning to it to respond to what others have added--do everything you can to keep the conversation moving in a productive fashion). There will be two exams. For the Mid-Term Exam, you will answer short answer questions that test your knowledge of the content and themes of the primary texts and films (as well as background material to those texts), and also write a short essay in which you explore one or more of those texts and films in relation to the main themes of the course: beholding violence and the relation between violence and art. For the Final Exam, you will devise your own essay that explores some aspect of the themes of the course in relation to at least one play and one film from the syllabus. You will be be given preview copies of the exams ahead of time so that there will be no surprise questions and you will have adequate preparation time to do well. An SIUE e-mail account and Web access are REQUIRED for this course. We will actively use our Blackboard course site (logon at bb.siue.edu) for website links, assignments, reading and study guides, discussion board, additional course materials, the reporting of grades, etc. This online syllabus will be your main portal to all course materials, but the Blackboard site will get you here, as well as to the Discussion Board, and also provide important weekly announcements that will not be on this syllabus. You will not be able to pass this course without becoming a proficient user of Blackboard (which, by the way, is extremely user-friendly). Please note that Blackboard may not work properly with certain internet browsers or web servers. If you are having trouble connecting or navigating the site, you may obtain assistance at the Information Technology Services. ITS also provides Blackboard workshops and support for SIUE students. For general information, training schedules, or to make an appointment, please contact them by phone at 650.5500 or email them at ftc_help@siue.edu. If you are on campus, they are located in the basement of Lovejoy Library, LB-0005. Any student found engaging in an act of academic dishonesty will be promptly dismissed from the course with a grade of "F." By "academic dishonesty," I mean PLAGIARISM (the act of representing the work of another as one's own), which the University considers a grave breach of intellectual integrity. All definitions, terminology, concepts, and patterns of organization taken from an outside source must be identified and given credit in any essay or exam you write--whether it be for the English department or any other department. For more detailed information on this, please consult the following: SIUE Plagiarism Policy. If you feel that you are entitled to special academic accommodations for documented disabilities, please contact the Disability Support Services office in Rendleman Hall #1218 (Phillip Pownall, Director), or visit their website, and they will help you fill out the necessary paperwork. "A cinema of disturbance: the films of Michael Haneke in context"